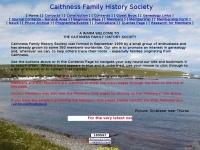 The web server with the IP-address 81.94.194.51 used by Caithnessfhs.org.uk is run by Dedicated Server Hosting and is located in Great Britain. On this web server 43 other websites are hosted. The language of those websites is mostly english.